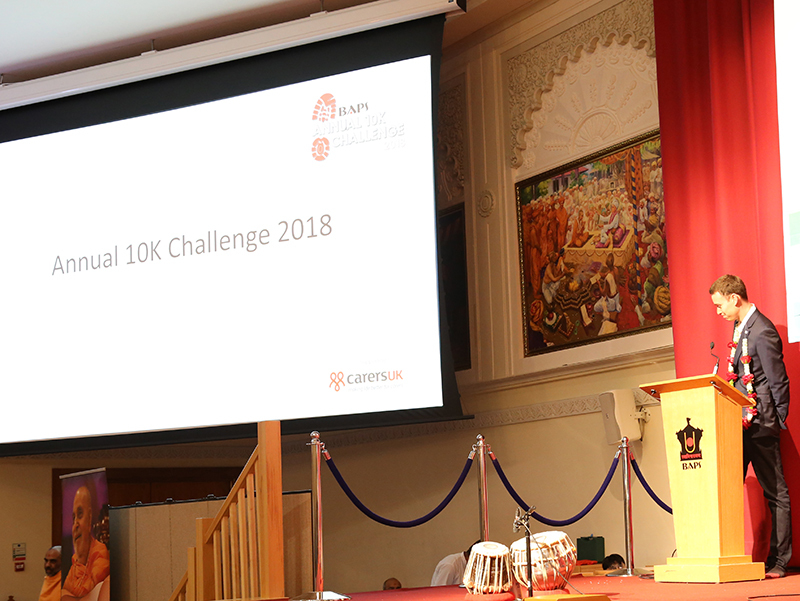 The BAPS Annual 10K Challenge for 2018 was launched on the evening of Saturday 17 February at BAPS Shri Swaminarayan Mandir, London. The official partner for this year’s charity Challenge, which takes place in April, is Carers UK, the UK’s only national membership charity for carers. 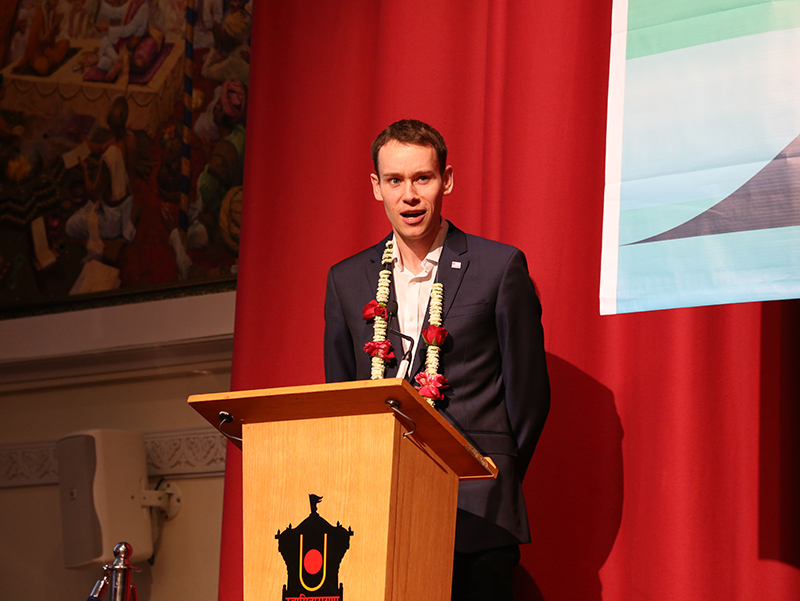 It aims to make life better for the 6.5 million people in the UK who are supporting a loved one who is older, disabled or seriously ill.
Jeremy Gould, Head of Fundraising for Carers UK, joined worshippers and guests at the Mandir for the official launch. 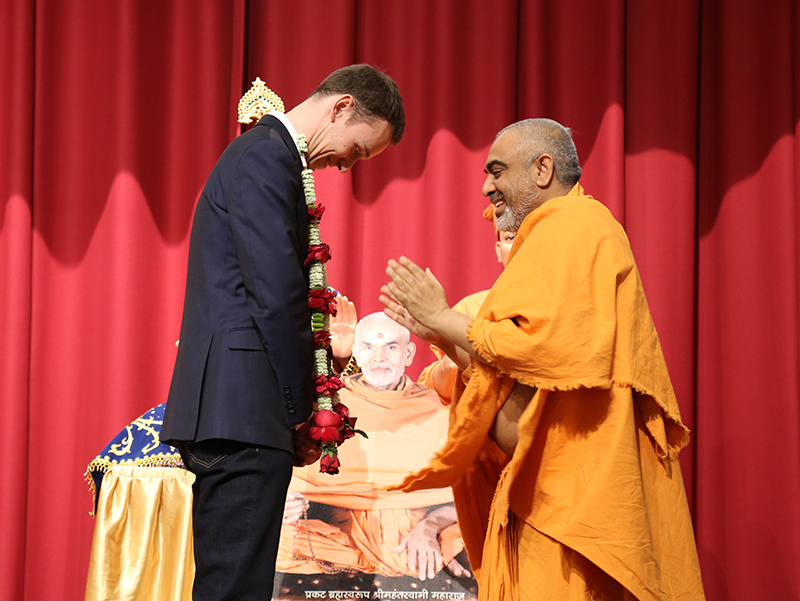 Following a brief tour of the Mandir, Yogvivek Swami welcomed him to the assembly. Mr Gould elaborated on the work of Carers UK, adding that they are very excited to be working in partnership with BAPS. Carers UK Chief Executive, Heléna Herklots CBE, said: “Caring for our loved ones who are disabled, older or seriously ill is simply part of being human. Carers are holding families together, enabling loved ones to get the most out of life, making an enormous contribution to society and saving the economy billions of pounds. “Many carers are stretched to the limit – juggling care with work and family life, or even struggling with poor health themselves. It can be difficult to make ends meet as a carer if it’s not possible to work as many hours or stay in work at all. To learn more about Carers UK, please click here.